On Friday 17th November, Charles Hurst Group scrubbed up well for the Big Wash in aid of BBC Children in Need. 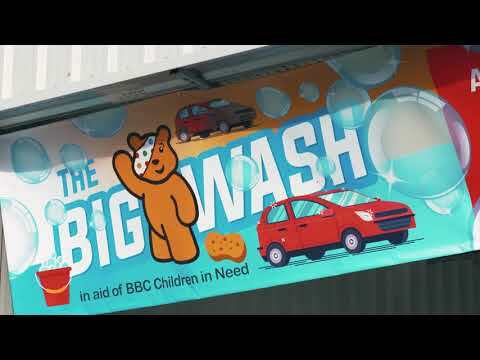 The Group set up six wash bays with 30 cleaners on hand at the Boucher Road Complex, with all donations going to help disadvantaged young people across Northern Ireland. The Group managed to raise £2,798 for the extremely worthwhile cause, in association with AutoKleen. A massive thank you to everyone, including Pudsey, who took part and contributed to the success of The Big Wash.